I like powder foundation. It is handy to have around for a fast, drama free makeup when I just want a minimal look, don't feel like fussing with liquid or creme formulas and of course, it's great to tuck into my handbag for on the go touch ups. 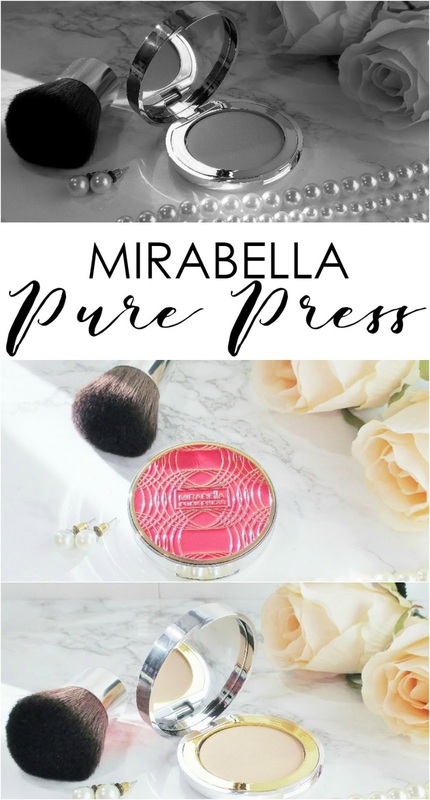 New from Mirabella Beauty comes their bestselling Pure Press Mineral Powder Foundation in a mini, travel sized compact that evokes a feeling of vintage glamour that is perfect for accenting my dressing table or taking along with me for those unforseen little makeup emergencies that never fail to crop up. Usually when I am not prepared because let's be real. I'm a klutz and I can mess myself up with little to no effort. Please don't be envious, gentle reader. It's innate talent. 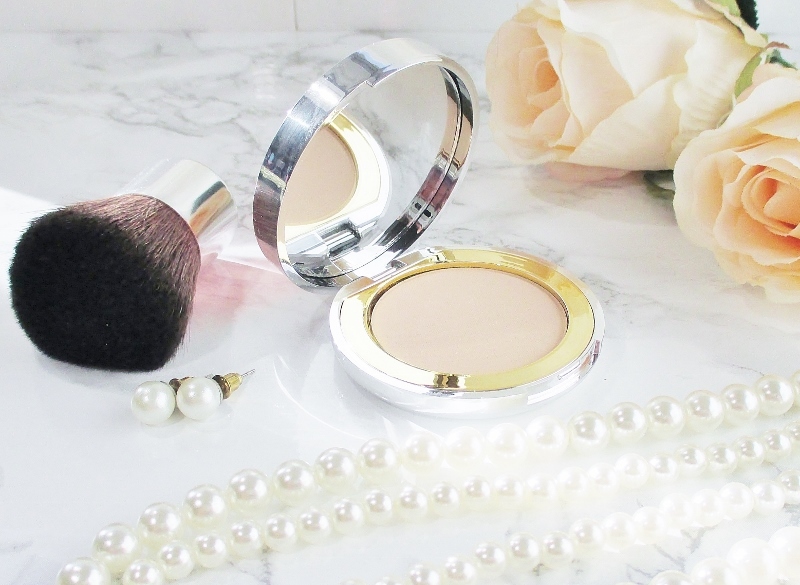 Mirabella Pure Press Mini Travel Size Powder Foundation is so delightfully pretty. 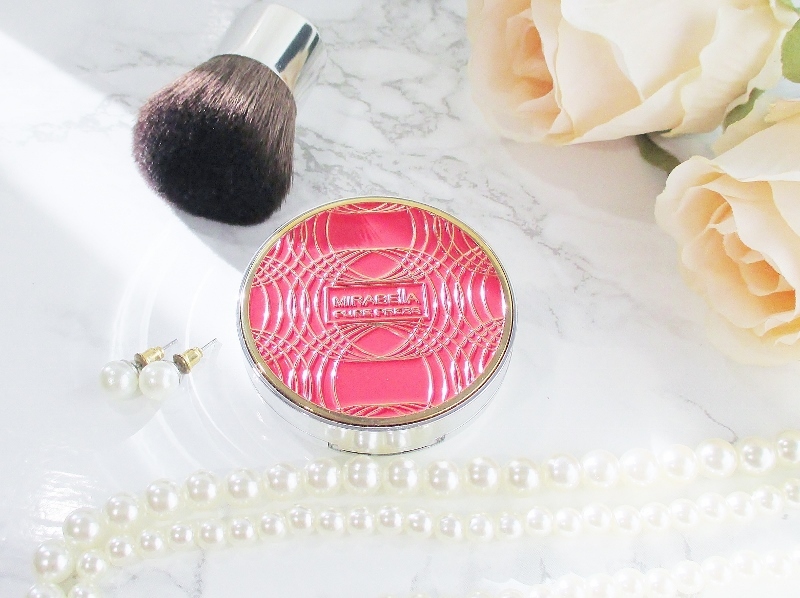 The petite, weighty Deco style compact is a little work of art in silver and gold tone and coral enamel. Just look at that pretty thing. Mirabella Pure Press Mini is only available in three shades and they are all light. I have Shade II, a good match for my fair-not-porcelain complexion. The silky, finely milled mineral powder is rich in natural vitamins and minerals that impart anti aging benefits while the foundation evens out and perfects my skin. Mirabella Pure Press Powder Foundation applies fast and easily with my little silver handled Dior Kabuki brush. Just dip my brush, pick up a little of the foundation and buff it into my skin. I can have a smooth, even finish with the light-medium coverage I like in about... a minute or two. Add under eye corrector, sketch on my brows, a little blush or bronzer, mascara and lip gloss and I'm out the door with dignity in near record time. This foundation wears all day for me, as long as I make sure to moisturize well and lay down a good primer, first. I do experience a little settling into those annoying, invisible little lines around my chin and mouth but I can smooth them with my finger and buff a little more of the foundation to perfect the area, once again. Mica, Nylon 12, Zinc Stearate, Boron Nitride, Dimethicone, Jojoba Esters, Tocopheryl Acetate, Retinyl Palmitate, Ascorbyl Palmitate, Laminaria Ochroleuca Extract,Caprylic/Capric Triglyceride, Hydrolized Lola Implexa Extracts, Fragrance. May contain (peut contenir): Titanium Dioxide (CI 77891), Iron Oxides (CI 77491, CI 77492, CI 77499), Bismuth Oxychloride (CI 77163). I took swatch pics but this shade blends so well with my skin that the photos weren't really much use. Mirabella Pure Press Mini Travel Sized Powder Foundation is a nice little treat for yourself or a pretty gift for someone special and it comes in at a very comfortable $20.00. From the ingredients list, this foundation looks to be vegan. Mirabella Beauty is cruelty free. Have you tried this foundation? What do you think of it? Please do tell. The glam compact, alone, makes me want it! 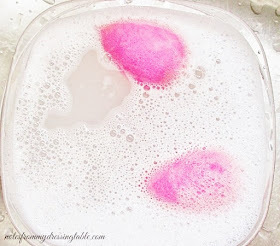 While my skin is normal/combination– I seldom wear a powder foundation. Mirabella does everything so well and the brand exudes class. I love knowing that it's in my bag. Makes me feel a little more elegant. 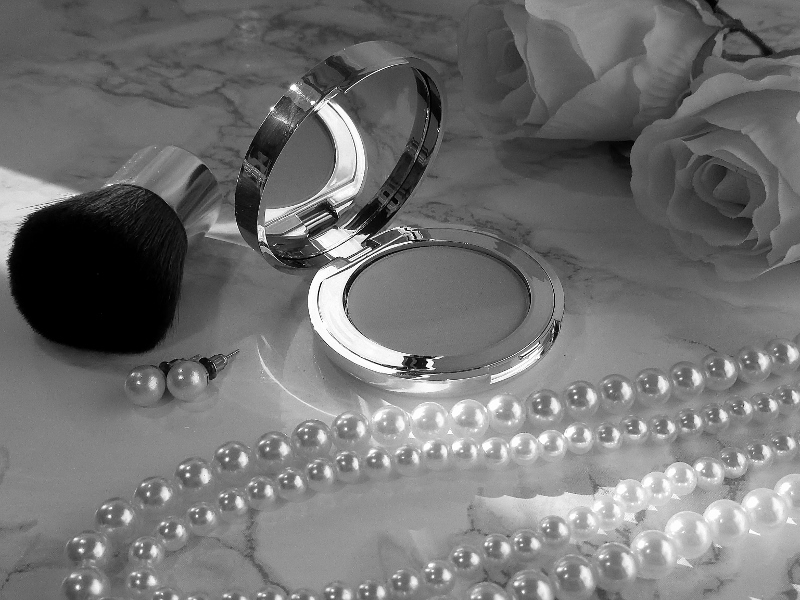 I love your black and white picture as it symbolizes the luxury of this foundation. This looks very glamorous including your staging! I love the packaging on this one! I haven't tried this foundation or any from the brand, but it sure is pretty! That travel size looks like a great way to try it out. It is a lovely tester, for sure. 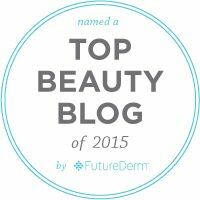 I haven't tried this brand yet, I have to check them out! This brand makes beautiful cosmetics. I love just about every item I have ever received. Thank you. I love it! The compact is sooooo pretty! !